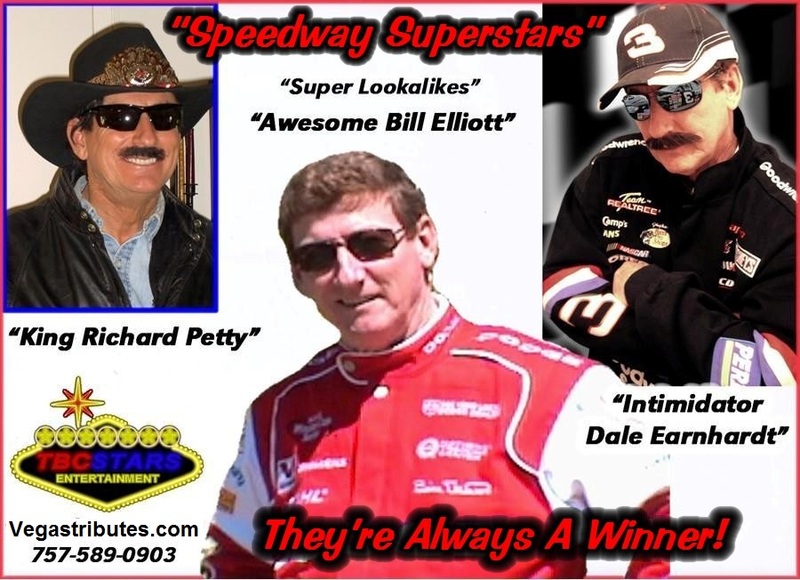 See "Awesome Bill Elliott" and "Intimidator Dale Earnhardt "
Tim Beasley has been appearing as a look alike and voice impersonator as NASCAR's most famous champion, "King" Richard Petty (also "Awesome Bill Elliott" and "Intimidator Dale Earnhardt, Sr.!") for over 20 years. 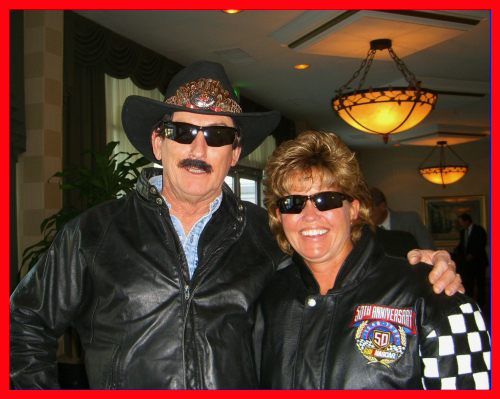 It's remarkable how fast Tim gets attention as "King Richard Petty," too, as a perfect "special guest" for any racing or auto themed event! Also as an accomplished motivational speaker, Tim uses this famous champion's facade to bring home the point of winning and having champion's attitude to his corporate special appearances. 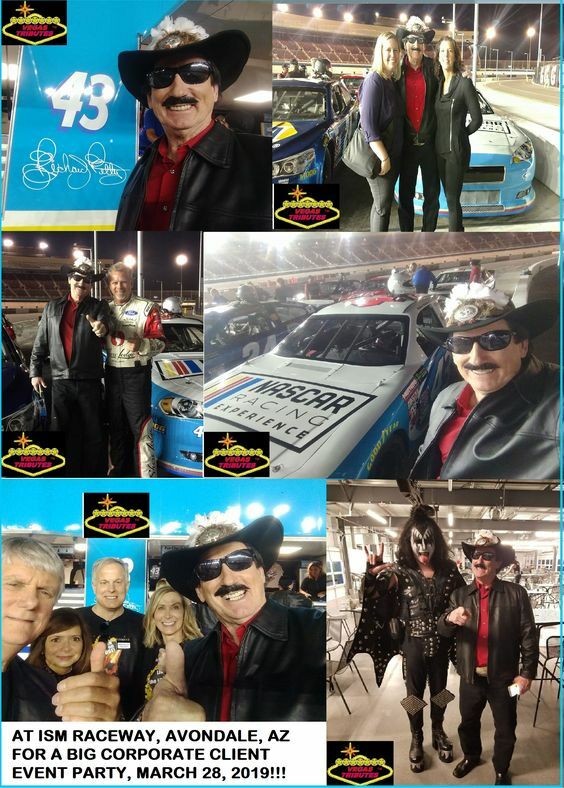 Tim's been engaged as "King Richard" for a huge railroad industry corp party at the ISM Raceway NASCAR track in Avondale, AZ, as wll as many fan-based events. 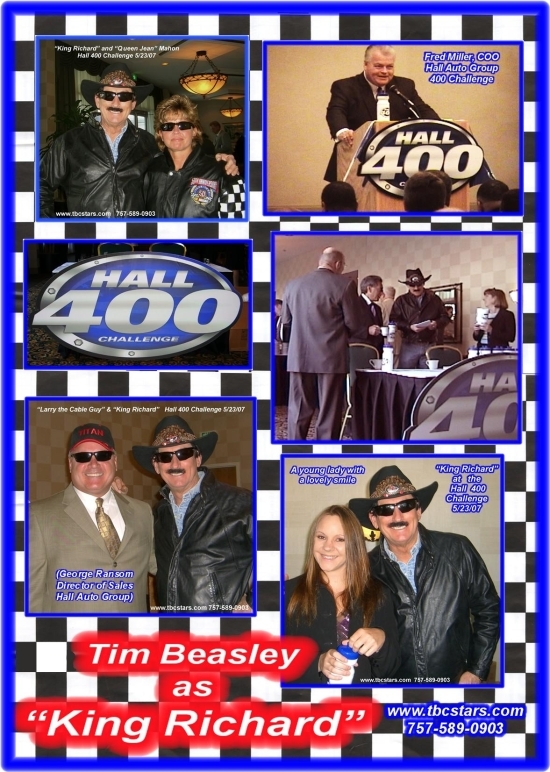 The mega-new & used auto dealer Hall Auto Group that owns and operates 19 different locations featuring 15 different makes had him appear as 'King Richard Petty" as the center-piece for their huge "Hall 400" sales promotion that was over a month long. 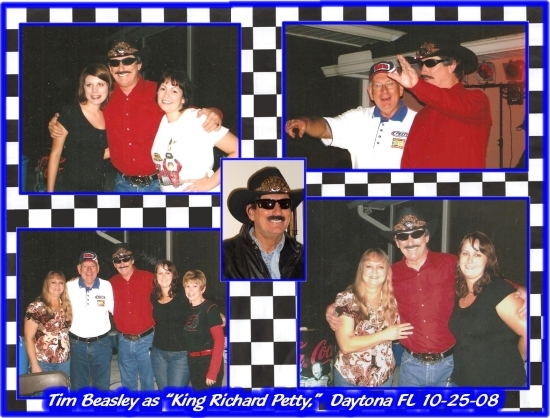 This large scale sales promotion was heralded by a TV Radio Print ad blitz that featured the attraction of prizes including a Richard Petty Driving Experience in Charlotte, NC. 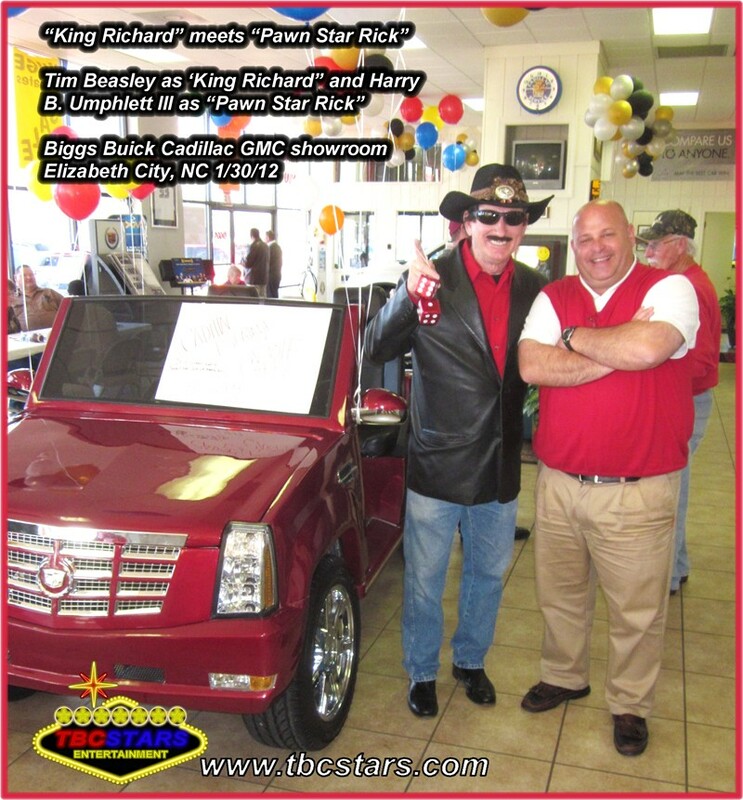 He is also a very regular "special guest" for auto dealerships including Biggs Cadillac -Buick - GMC of Elizabeth City, NC for their seasonal "Super Sales." 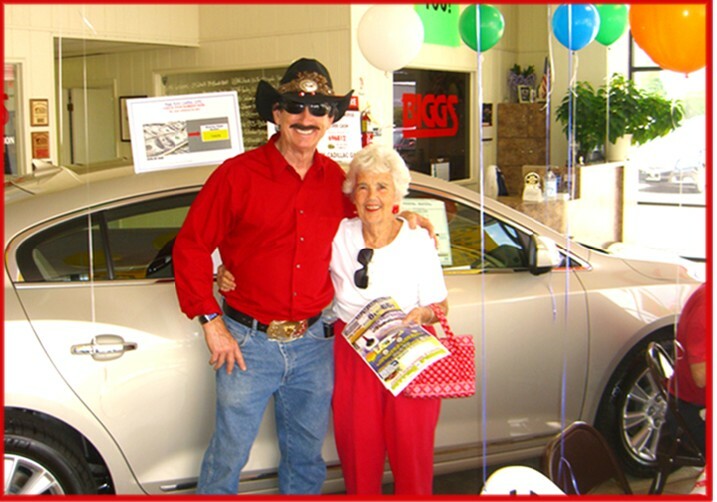 During these meet and greet appearances, he also makes all of the announcements, ala "King 43," and plays a grand selection of country classic and current country hits, too, PLUS EVERYONE WANTS PHOTOS!